StreetShares is a newer company making waves for a couple of reasons. First, they are focused on helping veteran-backed businesses get the funding they need to make more money! Second, they allow investors to be a part of this with a unique lending/bond product. Curious? So were we, so we dove in and started checking out all there is to know about StreetShares! Can they really help you make passive income? Do they really lend to veteran backed businesses? How does it all work? Let's break it down in our StreetShares review below. Tell us what you think in the comments! StreetShares was formed in 2013 by two veterans who wanted to offer small business owners an alternative lending option to payday loans. The CEO is Mark Rockefeller, who is also an Air Force veteran. The president is Mickey Konson, who is also a veteran. The company is based in Reston, VA.
Out of 144 reviews on Trustpilot, StreetShares has a five-star “Excellent” rating. 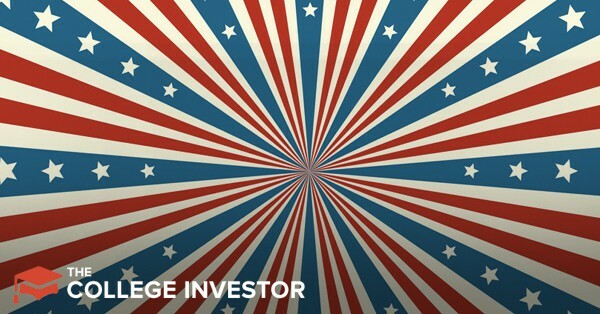 StreetShares pushes its veteran-oriented approach to lending. In fact, on the home page of their website, it says, “Business Loans and Financing for Veterans.” They provide loan products to main-street and veteran businesses. Create an account with StreetShares and complete a full application. Upload financial statements and tax documents. An underwriter reviews your application and goes over any offer. The full application process takes about 10 minutes. You can do it online or call StreetShares if you’d like to do it over the phone. StreetShares offers three different types of business loan products. Technically, there are no fees. There is a closing cost but this is rolled into the loan. However, you have the option to pay the closing cost up front. Closing costs range from 3.95% to 4.95%. Loans are paid back on a weekly basis. This is similar to a traditional loan. You receive the full loan amount at once. Loans range from $2,000 to $250,000 with 3- to 36-month terms. There aren’t any prepayment penalties. This product lets you draw on a line of credit as needed. Credit lines range from $5,000 to $250,000 with 3- to 36-month terms for repayment. You only pay interest on funds you draw from the line. Otherwise, the line remains available for when you need it. There aren’t any prepayment penalties. This is a loan based on a commercial or government contract that you’ve been awarded. You can receive up to 90% of the contract value. There are no prepayment penalties. Note that loans are available up to $200,000 for first-time borrowers with StreetShares. Repeat borrowers can receive amounts up to $250,000. APRs on term loans and lines of credit range from 7.00% to 39.99%. StreetShares only allows you to borrow 20% of your annual revenues. For a business that makes $250,000, that’s only $50,000. If you have a capital-intensive business, that amount is not likely low. You probably need at least a few $100,000s in that case. StreetShares will beat or match competitor loan products or you’ll receive an Amazon gift card worth $100. There are restrictions to this offer, which you can read here. In addition to business lending, the general public can buy bonds in the businesses that StreetShares finances. These bonds pay 5% interest and you can start with an investment of $25. Your funds need to stay invested for one year to avoid a 1% withdrawal penalty. StreetShares loan payments are on a weekly basis and done through ACH withdrawals, which might not work for some businesses. It’s more common to make payments on a loan once per month. The 20%-of-revenue limit is probably too low for many businesses. To meet StreetShares’s maximum loan amount of $200,000, your business will need to have revenues of $1 million. However, for businesses just starting out, this could be a positive. The positives are that the loan process is straightforward and funds are deposited into your account immediately. It’s easy to check if you qualify and your credit score won’t be impacted. StreetShares rates are also competitive compared to similar products. For investors, their lending product is compelling, but untested over the long term. If you are looking for a CD alternative with a little more risk, this could be an option for you.